On April 6, 2017, Oncotarget published an article which I’ll be briefly discussing here today. Researchers took mice and implanted Endometriosis cells inside of of their pelvic regions wanting to see if the Endometriosis cells would migrate to extra-pelvic organs. They later analyzed the organs for microscopic Endometriosis-derived cells throughout the mice and found that it had migrated to the lungs, spleen, livers, and brains in many of the mice. 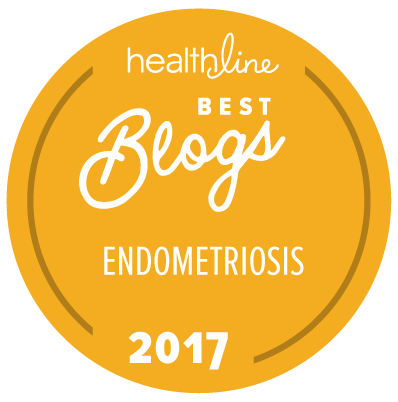 The authors suggest, “…that endometriosis in locations distant from the pelvis may be more common than previously recognized. Endometriosis should be considered a systemic disease that is often subclinical.” They suggest that these Endometriosis-derived cells residing in other organs may influence symptoms of Endometriosis, such as fatigue, eating disorders, sociopsychological issues and other symptoms which lessen our quality of life. It also discusses thoracic Endometriosis and Endometriosis on the liver, and those side effects. Further research, of course, is always needed. Eve Edelheit of Florida had begun a wonderful Endometriosis project to help raise awareness of this illness and how it affects daily life. If you’re interested in participating, please Contact Eve Edelheit at eedelheit@tampabay.com. Or follow her @eve_edelheit. If you missed Margaret de Franco’s Endometriosis & ROSE Study webinar hosted by the Riverside Medical Clinic Charitable Foundation’s Endometriosis Family Support Group this month, here’s the recording! Thank you to Megan, Margaret, and the entire RMCCF and EFSG staff for all that you do! So, my last period was severely painful (the worst since my 2016 surgery), but I’m trying to remain positive about it. I missed a day from work, stayed in bed, and popped NSAIDs. I suffered through another two days at work, still on NSAIDs. The rest of my bleeding days were maintained by Ibuprofen. It may have been stress-related: walk planning; wedding planning. You know: stressful things were afoot in March and April. But what do you do when the doubts creep in? When symptoms begin to rear their ugly heads? When your back begins to ache. It hurts to poop again. Or worse: pee. When the cramps set in – when they force you to the floor, squeezing your stomach tightly – hugging yourself to death. When you’re forced to take a day off of work or cancel plans to lie in bed, medicated and useless. When you dread the start of your next period…mine is supposedly gonna show up sometime next week. Or when not on your period and those little pains and discomforts visit for a few minutes near your belly button, your hip, your bowel, your back. Sharp pains that last a few seconds to several minutes, at no fault of your own. You’re eating well. You’ve changed your diet and lifestyle. Your minding your body. You’re not overdoing things. You’ve had excision surgeries. You follow the published studies and read the books. You surround yourselves with women who know what you’re going through, and have the support of friends and loved ones. In the meantime, you hoard your sick time and vacation days. You’re fearful to plan extended trips, long weekends, or days off because you may need those days for a future recovery. A prisoner to your own body – unable to truly plan things to go out and enjoy – those valuable days off of work or school and money spent on vacations may be needed for surgeries looming in the distance. Yet…what do you do when those whispers and fears creep up from the depths? You hear stories of women who have had complete relief after their excision surgeries; yet others (some who have even seen “Endo Specialists”) continue to suffer. And some EndoSisters have a return of symptoms even weeks after their surgeries. Others go a few years without needing another. Each of these are valid questions that fly through my mind. Each I try to smoosh down with a “it’s too soon to tell” or “wait until your next period to see how it is”…It could be *anything* – it may not necessarily be Endometriosis. But it’s the first thought that comes to mind. Do you feel the same way? Do these doubts creep in? What do you do to stay sane? To not give up and cry? Or to not be furious at an illness you truly have no control over? I breathe. I write things down. I try to let them go. There’s nothing I can do about it right now…they are just words. Yeah, I say that – but the fears and doubts still exist. They still linger, floating at the back of my consciousness. I still want to cry from time to time because of this “new me” and my inability to live as carefree, outgoing, and demanding as I used to. How do you manage? Drop me (and all of us in the same boat reading this today) a comment below. Whew! Last Friday was interesting! Woke up to a huge screw sticking out of my back tire…so had to handle that, which took the tire store all day. So I had to take a day off of work…Then I had to take the car to my mechanic due to a new squeaking noise…and he tightened a loose belt *all fixed* Then I received a bill from the IRS for a forgiven credit card balance from 2014…$650 out the window. *groan* Friday was a BEAST of a day! So, I was a bit preoccupied and totally spaced on the quote! BUT we’re doing it now!!!!! Better late than never! And it’s true. My silver lining? I got to spend a few hours with my husband before he had to go to work: we visited his ailing Aunt, ran a few errands, and enjoyed a home-cooked lunch together. It was nice, despite the happenings of the day. Many of you EndoSisters may have heard, or are following, the use of the biomarker CA-125 as a possible indicator of the presence of Endometriosis (read more here). I had my annual pap smear appointment this week and figured I’d ask my doc to see if they’d run blood tests with my usual annual bloodwork. I went in fully aware and understanding that CA-125 is considered an unreliable test for Endometriosis for many reasons: it could be elevated due to other factors, it may read a false positive, or CA-125 levels may vary naturally throughout our menstrual cycles. If a false positive were received; a whole slew of tests would have to take place: why is it positive? Indicative of cancer? Endometriosis? Something else? If I had, then MAYBE the test would be justified. Without proper justification (aka ovarian mass or history of cancer), insurance would likely deny payment…and it’s over a $500 blood test. Given the fact that the many studies of CA-125 and Endometriosis tend to express that CA-125 is not (yet) an accurate indicator of the presence or recurrence of Endometriosis, I’m okay with not testing my CA-125 levels. But I know there are gals out there who DO test their CA-125 levels and I must ask: how’s that working out for you? What has been your experience? Did you have to convince your doctor? Does your insurance cover it? Share in our comments below! On March 25, 2017, we had our Endometriosis Awareness Walk here in San Diego, California. It was a beautiful day, the weather was perfect, and the ocean was glorious! We walked the shores of Shelter Island. All in all, we had 77 registered walkers (oh how we’ve grown in three years! ), plus a few non-walkers there to show support to their loved ones. We raised $1,857.42 for 2017 and it was all donated to the Endometriosis Foundation of America! Of that $76.67 was from t-shirt sales, $115.75 was from the San Diego Sisters of Perpetual Indulgence fundraisers, $250 was from the Element Wellness Center fundraiser, and $1,415 was from Gofundme donations! Also, one of our walkers, Allison, raised an additional $135 for the E.F.A. with her own gofundme fundraiser! Thank you EVERYONE! 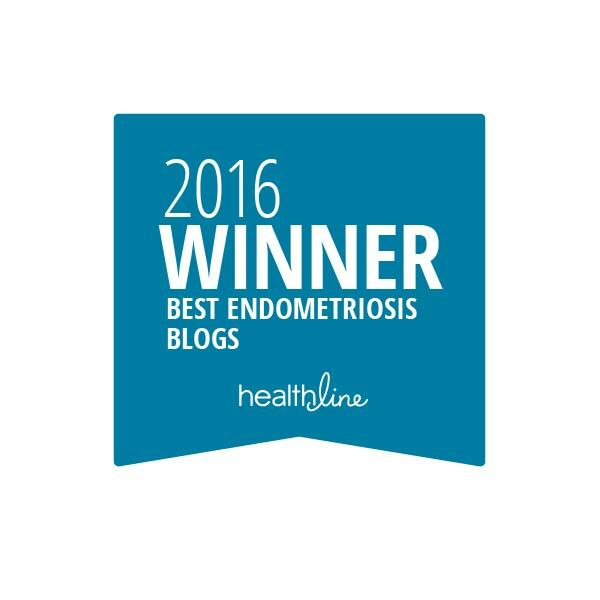 “Endometriosis is often misunderstood by friends, family, and unfortunately our doctors. We walk today, together with thousands of women around the world, to show support to one another and spread awareness in our communities. Raise your hand if you have Endo – look around you. We are NOT alone in this fight. Get to know and trust your EndoSisters; support one another. To the friends and family who walk today, thank you for your patience, your love, your understanding, and your desire to learn with us. Our journeys are made easier with you by our sides. A huge THANK YOU to my husband, James, for providing security; Marie for being our resident medical staff; Timbrely for running check-in; my Mum for all of her help; and to everyone who helped tear down the event. And thank you for the Endometriosis Foundation of America and the Endometriosis Research Center for providing brochures that we could pass out! Interested in learning more about natural remedies (diet/exercise) to help with infertility. I wish that I knew about this org when I was in treatment back in 2010. How is that German Shepherd doing? Endo is MOOP. Endo took me from an active 19 year old to a girl who never works out or has the energy to go on outdoor adventures anymore! I miss the old me! Endo pain is not period pain! It is debilitating and chronic. Sometimes, most times, pain meds don’t work! Very few people know the affects of Endo. Shocked that I hadn’t heard of it sooner considering how prevalent it is. Do I have Endo? I need to get checked. I only have a period every 3-4 months with a lot of pain. Endometriosis isn’t a well-known disease. Does food actually help with flare-ups? Or just help not as bad? I’m concerned about doctors being able to diagnose without invasive procedures. Like, why not have an MRI just before a period, when the tissues could be large and visible? Fact: Family support helps those that suffer. I want to do a demo on Endo. Groups of girls showing every 1 in 10 women have Endo. Volunteer 100 people at Balboa Park, showing a large circle, 10 people out of 100 break the circle and move into the center showing people how many. I hate seeing my sister in pain – makes me ANGRY! EndoBelly! How to make it go away? I hope they can find a cure for Endo in my lifetime. It’s really hard watching what these girls go through daily. What is longest someone has had Endo? If known. Endo affects 1 in 10 women. This is not a statistic. This is an epidemic! Love to all of my sisters who fight for peace every day! YOU ARE WORTH IT! Endo affects 176 million women worldwide. Did you know symptoms of Endo can include other diseases like Celiac disease and Anemia? Skin breakouts? Crohn’s disease? There is not enough awareness for an illness that affects so many lives. Prayers for all Endo sufferers for a pain free walk/day. Endometriosis. Fact: Takes an emotional toll on the spouse also. Once again, thank you to everyone who donated attended our walk, and helped! That day, and every day, is all about support and awareness. It would be nothing without you.